Even after 86 years in dry storage (! 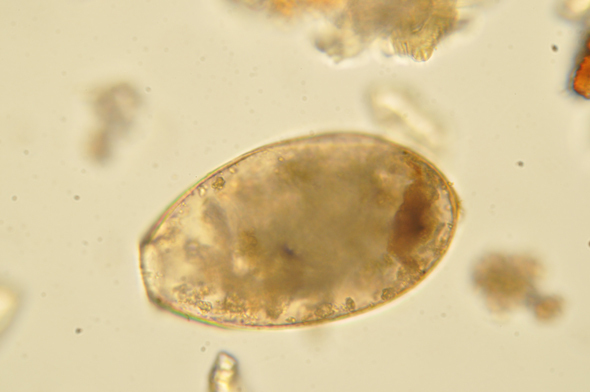 ), and almost 5000 years in the Alvastra bog, it’s still possible to find intestinal parasite eggs in relatively good condition from the culture layers of the Alvastra pile dwelling. 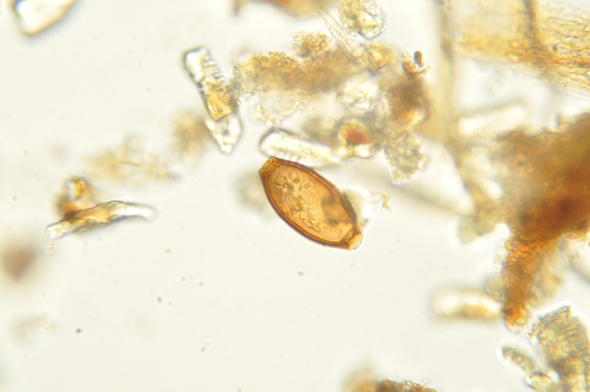 After a brief preparation of two soil sample from one of the culture layers excavated by Otto Frödin in 1930 (Browall 2011) , two types of parasite eggs were identified. The presence of these represents two parasitic diseases: whipworm- and liver fluke infection. Whipworm is perhaps the parasite most associated with crowding and poor sanitation, whereas liver fluke is a serious and potentially lethal illness for sheep and cattle. In this way, archaeoparasitology can be a great help in reconstructing local livestock, health and hygiene, food preferences etc.